The Terminix® Bait Defend System targets foraging subterranean termites to prevent future infestations. And our guarantee ensures future treatments or damage repairs won’t cost you a cent. With our Bait Defend System, termite colonies march to their death. And as long as you keep your plan, annual monitoring will continue to protect your home against new subterranean termites, including Formosan. If we find anything, you’re covered against treatment and damage repair costs. We perform a FREE Termite Inspection to check for signs of a past or current subterranean termite infestation. Our trained specialists strategically install a series of termite bait stations in the ground around your home. The bait stations are discovered by foraging termites near your home. Once termites feed on the bait, they carry the control agent back to the colony nests and share it with other termites. Each station is specially designed to hold more termite control agent than many other termite bait systems, resulting in fast, effective control. HOW LONG DOES IT TAKE TO CONTROL A TERMITE COLONY WITH BAIT? Individual termites can be affected within a few days after consuming the bait, but it may take several months before an entire colony is controlled. Timing varies depending on the time of year, geography, number of termites in the colony and the number of colonies attacking the structure. WHAT’S IN THE TERMITE BAIT THAT MAKES IT SO EFFECTIVE AGAINST TERMITES? The bait contains an insect growth regulator that prevents the successful completion of the termite’s vital molting process. Because they are unable to molt, they cannot advance through their life cycle, and they die. HOW IS THE BAIT DEFEND SYSTEM MONITORED? Once the system is installed, your Terminix service professional will periodically visit your home to check the progress. IS THE TERMINIX BAIT DEFEND SYSTEM EFFECTIVE IF A COLONY IS DIRECTLY UNDERNEATH A HOUSE? These homewreckers exhibit continuous and random foraging behavior, so even when they have found a good source for food, they constantly look for more. We strategically place the Terminix bait stations in areas where the termites are likely to forage. WHEN THE COLONY IS GONE, DOES TERMINIX REMOVE THE STATIONS? No. Once the colony is gone, others may move in to the area. To keep your home protected, we will continue to monitor the Terminix bait stations for evidence of a new colony as long as your contract remains in effect. Ultimate Protection Guarantee (UPG) is specific to the termite or pest plan purchased. Consult your plan for specific terms and limitations that may apply. Not available in all areas. 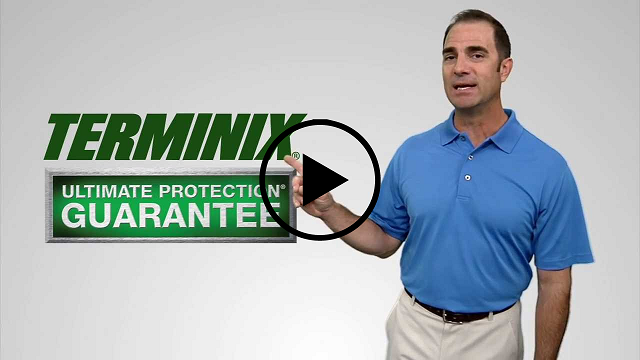 For complete offer terms, including coverage areas, or for details regarding any Terminix guarantee, call 1.800.TERMINIX (1.800.837.6464). 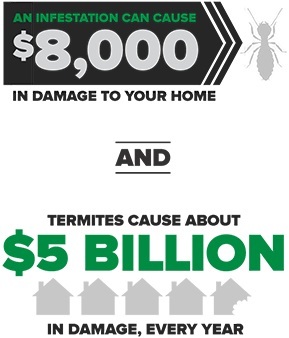 Termite plans require annual inspections and payments to be current. Termite plan UPGs vary by plan and type of termite. UPG IS AVAILABLE FOR QUALIFYING PROPERTIES ONLY. UPG IS NOT AVAILABLE FOR SERVICE PLANS. Any future treatments and/or damage repairs require the presence of live termite activity. Termite inspections are not intended as reliance for representations at real estate closings.